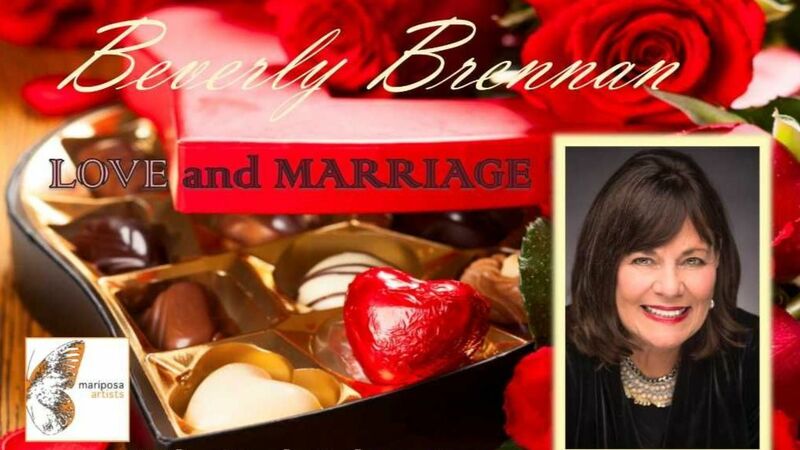 Beverly Brennan returns with her hit show, "Love and Marriage”, where she offers an inside take on long term relationships - the good, the bad and the outrageously funny. With stories, jokes and songs her show will take you on the roller coaster ride of falling in love and the consequences. Songs include hits by Patsy Cline, Billy Joel, John Lennon and James Brown as well as selections from musical theater and the great American Song Book. It’s time to get real and tell it like it is about being married to the same (wonderful) guy for 47 years! Rick Jensen serves musical director and accompanist. Co-directed by Lina Koutrakos and Ken Haller.